To this moment, I would say I have over 40 coffee table books. And counting, I’ve asked for some more books for my birthday. I don’t think I will ever stop collecting coffee table books. Sure, there’s the straightforward method of placing-the-coffee-table-books-on-top-of-a-coffee-table. Add some personality by playing around with accessories. Candles are my go-to accessory and any by Neom are my go-to choice. Marble coasters are also great, small trinkets, anything that shows your personality. Don’t be afraid to layer, however, be wary of going overboard. 3- 4 objects will help make a coffee table book shine. This coffee table book looks great with my marble trinket box. Whilst I hate cramming coffee table books onto a bookshelf, on open shelving like this, you can create height and a feature. 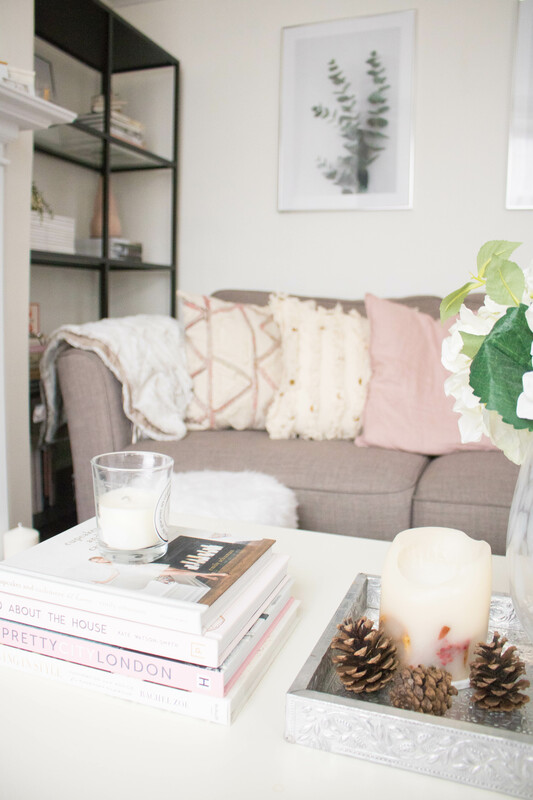 Stacking books of different colours and sizes and then layering objects helps the eye dance around the room, as I talk about in my how to decorate a shelfie post. I particularly love how these books look with the faux plant and some delicate objects such as the cat figure and the old bottle of perfume. 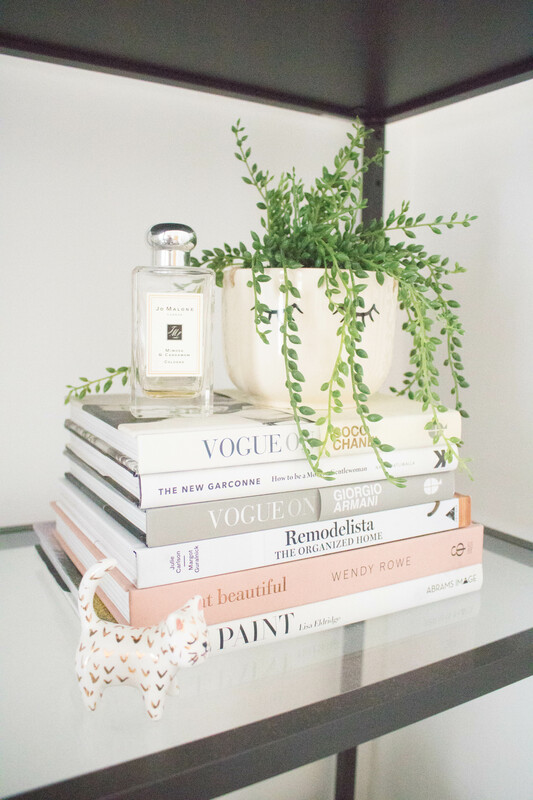 Have a go at styling a shelfie and see how you get on. I would never advocate buying a book just for its cover, however, more and more authors are investing in them. And it’s paying it off. 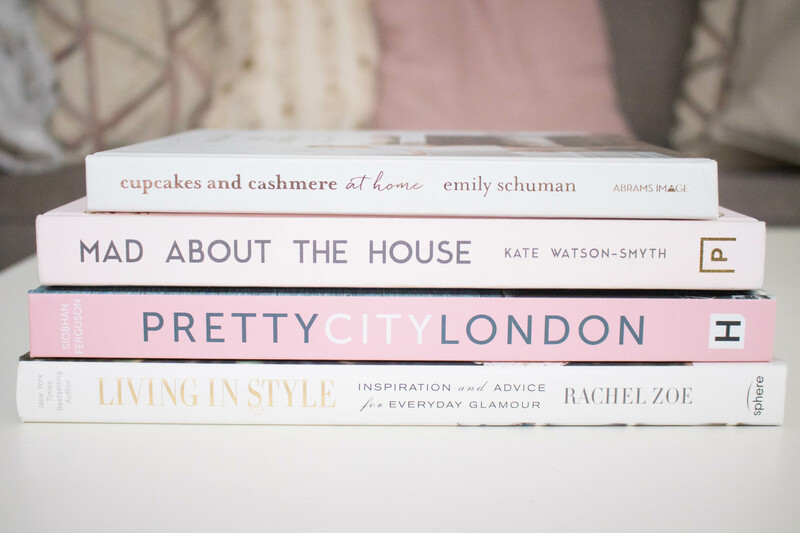 So many of my coffee table books look amazing and go well together in a cohesive look. Having some form of tonal similarity matching something else in your room brings a touch of luxe. As you can see below, the coffee table books put together do match up to the colours of my cushions on my sofa. Working in harmony without taking away from the overall decor of the room. 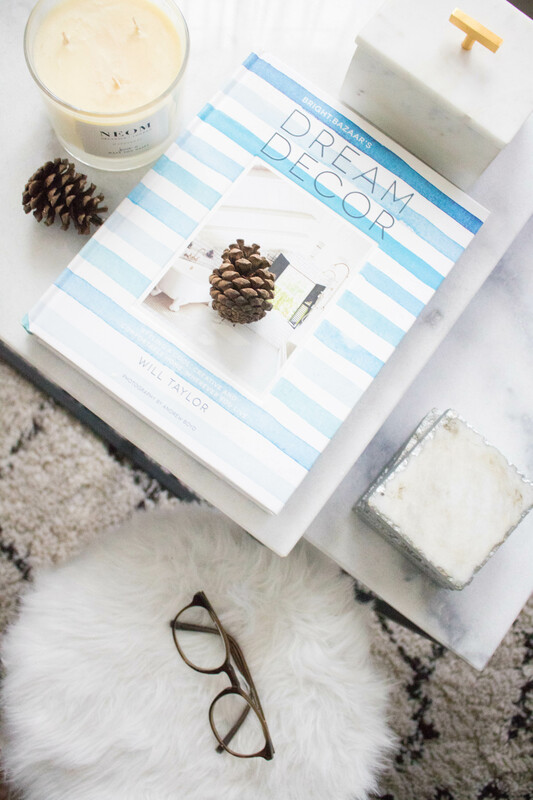 How Do You Use Your Coffee Table Books to Decorate Your Home?